What will such a Constitution become? We cannot know. 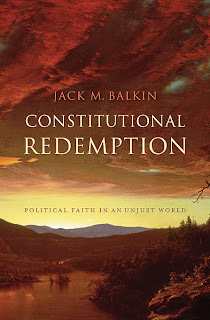 But our belief in the legitimacy of the Constitution requires a leap of faith—a gamble on the ultimate vindication of a political project that has already survived many follies and near-catastrophes, and whose destiny is still over the horizon. For those of you interested in conversion experiences, the last chapter of the book is entitled "How I Became an Originalist."